Update (7/24/2018): Less than 48 hours after the launch of our petition, CVS issued a public apology to Hilde Hall, claiming the pharmacist who refused her care acted outside of the company’s guidelines. But CVS still hasn’t fulfilled our other demands – for policies and training to ensure this never happens again. Add your name now. Hilde Hall left her doctor’s office feeling elated. With her first prescription for hormone therapy in hand, she felt she was finally going to receive treatment and begin to live and embody her truth. That dream was shattered when a CVS pharmacist refused to fill Hilde’s prescription and publicly shamed her for being transgender – nearly reducing her to tears in the middle of the store. CVS must issue an apology to Hilde Hall for allowing its pharmacist to refuse care and publicly shame her. The company should train its staff and enact policies to protect all patients in need of care – and hold violators of those policies accountable. The CVS pharmacist’s actions go far beyond refusing her care. He wouldn’t give Hilde back her prescription, effectively blocking her from taking it to another pharmacy. He also loudly questioned her in front of other CVS staff and customers, leaving her mortified. 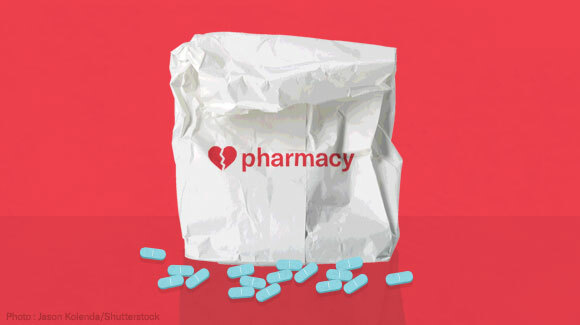 And when Hilde’s doctor called CVS to intervene, the pharmacist still refused to fill the prescription – literally going against doctor’s orders. CVS must make it clear to employees, and especially pharmacists, that transgender customers deserve basic respect and equal treatment. CVS can’t allow its employees to use their personal beliefs to publicly shame and turn away patients. Transgender people have their identities challenged on a daily basis – and those challenges should never come from people responsible for providing them health care. Your company must apologize to Hilde Hall, a transgender woman who was publicly humiliated and refused care by one of your pharmacists. Through training and written policies, you must ensure that your employees treat transgender customers with equal respect and dignity.